The UN Women Representative for Ethiopia, Letty Chiwara, said women-run agricultural co-ops are vital to sustainable farming practices. 3 Aug 2018 – Well-established women-run agricultural cooperatives in Ethiopia have long served as an alimentary and economic backbone for many rural areas in the East African country. They’ve teamed up with a joint UN program called, “Accelerating Progress towards the Economic Empowerment of Rural Women,” which provides them with time-saving machinery and loans to aid sustainable agricultural production and encourages rural women’s economic empowerment through savings. Letty Chiwara, the UN Women Representative for Ethiopia, explained that agricultural cooperatives, particularly those operated by women, are vital to sustainable farming practices. 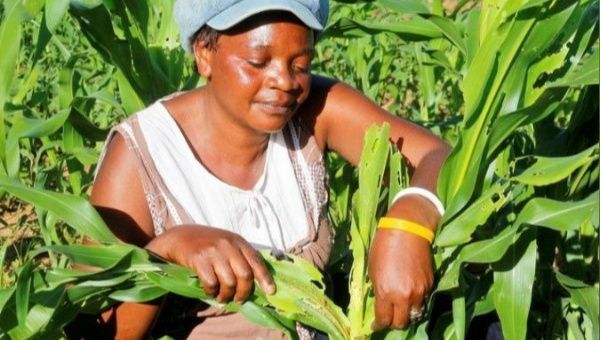 “Injecting basic labor and time-saving technologies, along with the relevant knowledge, to smallholder women farmers’ cooperatives are critical elements in the sustainable escalation of the value chain in agriculture. This, in turn, results in a quality of life improvements for women farmers and communities at large,” she says. A beneficiary of the UN program, which was launched in the regions of Afar and Oromia in 2014, is Kamso Bame, a mother of 12 and owner of 2.5 acres of land. The tractor provided to her has drastically reduced days of grueling labor in the field. She is just one of the more than 2,000 small family farmers participating in the UN program. The Accelerating Progress towards the Economic Empowerment of Rural Women is a five-year program. It collaborates with ten cooperatives, with 48 to 516 members each, according to AllAfrica, and benefits roughly 14,000 family members. Women comprise, on average, 43 percent of the agricultural labor force in developing countries. The amount varies significantly across different regions, from 20 percent or less in Latin America to 50 percent or more in parts of Africa and Asia, according to AllAfrica.